uAvionix today announced it has received Technical Standard Order Authorization (TSOA) for its skyBeacon wingtip-mounted ADS-B OUT solution. “The addition of an altimeter late in the certification process introduced a small delay in the certification timeline. 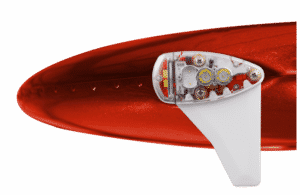 The additional component makes the skyBeacon able to address a larger range of aircraft – specifically those with an existing Mode S transponder. It allows skyBeacon to provide pressure altitude to surrounding traffic and ATC regardless of the radar coverage,” he added. STCs for multiple Cessna and Piper aircraft are expected within just a few weeks, at which point uAvionix will begin shipping pre-orders. The STC data and installations satisfy FAA requirements and will enable subsequent skyBeacon installations to be performed on any “suitable aircraft” without an STC as a minor alteration. A “suitable aircraft” is any aircraft allowing installation of the skyBeacon without airframe modification. uAvionix develops the world’s smallest, lightest and most affordable ADS-B transceivers, transponders, and GPS receivers. Based in Bigfork, MT, uAvionix has gathered a cross-disciplinary team of experts in embedded RF engineering, sUAS operations, avionics, hardware, software, and cloud services. uAvionix was founded in 2015 and has received Series A and Series B investment funding from Playground Global and Airbus Ventures.